The purpose of my sculptures is to make people think long and hard about the Holocaust. 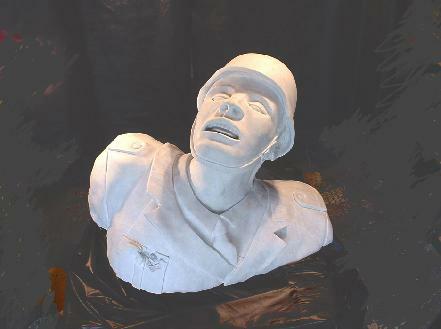 On these web pages you will find sculptures carved in marble that commemorate the heroism of that time and place. Here you will not find any ambiguous abstract artwork or any sense of defeatism. These sculptures are dedicated to one of the most important lessons of the Holocaust - Am Yisroel Chai - the Jewish people will always survive. 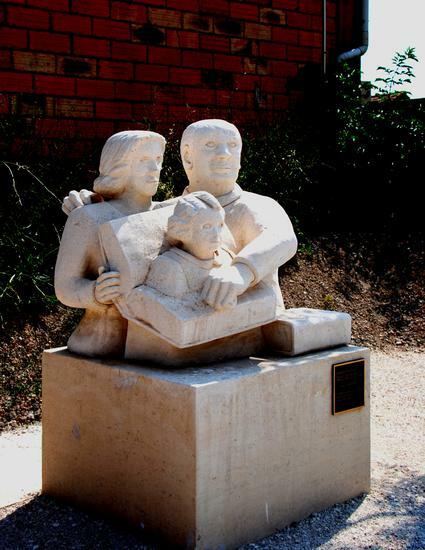 This sculpture was installed In September 2012 at the Camp Des Milles Holocaust Memorial Museum in France. Serge and Beate Klarsfeld are famous Nazi hunters based in Paris, and Marceline Kogan was a two year old child rounded up in the infamous Paris "Rafle" in 1942 and killed in Auschwitz. 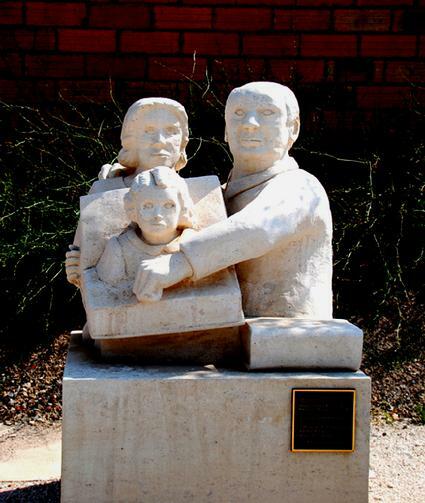 The sculpture depicts her emerging from Serge Klarsfeld's book, "Jewish children deported from France." 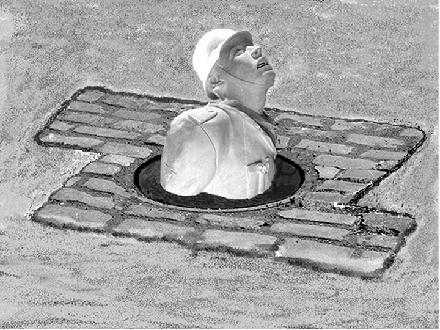 Beate Klarsfeld's autobiography,"Wherever they may be" is also shown in the sculpture. 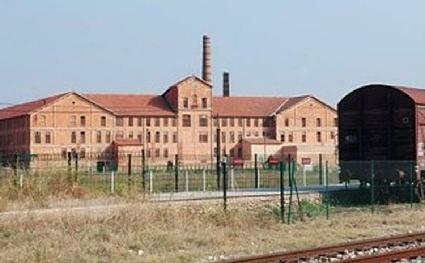 Camp des Milles was a French internment camp in a former tile factory near Aix-en-Provence. Between 1941 and 1942 it was used as a transit camp for Jews arrested by the Nazis. About 2,000 of the inmates were shipped off to the Drancy internment camp on the way to Auschwitz. Since 1993, the site served as a World War II memorial, and in September 2012 the memorial was turned into a Holocaust memorial museum.